We had a huge bull market in gold that outperformed just about any other investment between 1999 and September 2011. We're now three years into a correction phase. Can gold drop below $1,000 first before it goes up meaningfully? It's possible. Because as you know, there has been some manipulation in the gold market. However, gold will go higher over time. One of the reasons we have weak growth in the Western world, and in the U.S., and in Japan, is because of government interventions with fiscal policies. Spending-supported by money printing-has led to an ever-expanding government as a percent of the economy. And the bigger the government is, the slower economic growth will be. The extreme is when the government controls everything in the economy, such as under the socialist/communist planning system. 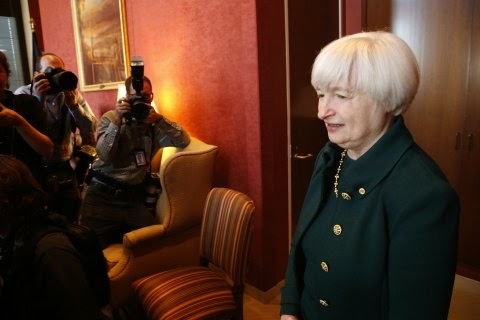 It [The Fed] won't raise interest rates for a long time. Certainly not in real terms. It's possible that it'll end QE4 and that the asset purchases come to an end. But only temporarily..... When it introduced QE1, my view was that it would go to QE99. And I still maintain that view. The trade and current account deficit of the U.S. has been coming down because the balance in the energy trade has improved a lot. The U.S. is almost oil self-sufficient. It's become the largest crude oil producer in the world. Additionally, if the Fed finds that the dollar is too strong, it can print money. But you just don't know what these academics will eventually decide to do. That's why I recommend investors have a diversified portfolio, because nobody knows what the world will look like five years from now. I would no longer trust central banks. I want to be my own central bank and have gold and silver stored in a safe place. Certainly not in the U.S. 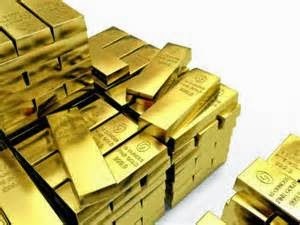 I always say that people should own some physical gold and store it outside the United States. This is an insurance policy that will pay off one time big in the future. I don't know when, I don't care when, but it is a safe investment and is an insurance and is part of a total portfolio that consists of Equities, Bonds, Cash, Real Estate and Precious metals. The likelihood that we have something more serious now is quite high. There has been considerable technical damage in the market, with approximately half of Nasdaq and Russell 2000 shares already down 20 percent or more from their highs. Combine that with the fact that Treasury bond yields have again declined meaningfully, and it suggests the economy is not on a very sound footing. We are in a period of elevated prices. From real estate to equities to bonds, there is a lot of excess. Going forward, the return on these assets will be very disappointing. We have these student demonstrations. In my view it is less about democracy and more about the chief executive of Hong Kong being very unpopular with young people and also with other people in Hong Kong. And it is also a social background in the sense that Hong Kong became very prosperous between 1950 and about 10 years ago. Years in which GDP per capita increased enormously and over the last 10-15 years real in other words inflation adjusted per capita incomes have been declining. I believe the outcome will be some sort of compromise where by the chief executive would probably resign. I think it’s quite funny because everywhere you go, up to a little while ago, there was great optimism about this recovering the global economy when in fact Europe is not recovering and in fact it is slowing down. In Asia and in other emerging economies we have a very meaningful slowdown in economic activity. I wouldn’t call all the emerging economies being in recession yet, but it’s just very little growth in present time in real terms and in some cases it has been a downturn, a meaningful downturn, like say in retail sales in Hong Kong or in Singapore…so I don’t believe that the global economy is healing, all that was in the context of massive interventions with fiscal and monetary measures by the authorizes. What worries me is this continuous blackmailing of countries by the America. Like the Swiss, they have to divulge the account names of Americans who had accounts in Switzerland and so forth. I think the Swiss government did a lousy job. They should have refused to divulge this information. Anyways there was enough pressure and the pressure rose because Swiss companies have large holdings in America. The Americans said, you don't disclose us the names, we close down your shop in America and the banking lobby of course obliged. I was expecting now a correction for 2 years. We have gone up in a straight line from October 2011 to here. We are 3 years into this bull market where we didn't have more than a 10 percent correction. This year has been irregular. Some indices like the S&P500 are up a modest 6 percent. Rusell 2000 has been down 4 percent. 50 percent of Nasdaq stocks are down 20 percent or more from their recent highs. In Asia you have markets like the Philippines, Indonesia, Vietnam, India, Thailand, Pakistan, that are all up between 20 percent and 28 percent. So when people tell me that the S&P have been such a great place to be, I have to laugh because Emerging Markets in Asia at least have done fantastically well. In 1927 - 1928 a lot of people, including Paul Warburg and Bernard Baruch, warned of a bubble and it went on another two years. It can go on for quite some time. When I compare the prices people paid for homes for Rothko, Warhol and Picassos in the 1970s and early 1980s, for Hampton properties, for Greenwich Village in New York properties and what they pay today, there has been colossal asset inflation. Now, for the people that inherit these things it's all well and good, and for the people who own them. But if you are 20 years old and you went to college and you have student debt, I think a lot of these things are less affordable than when I was a trainee in 1970 at White Weld in New York. So I think this has contributed to a lot of misgivings. In general, I believe that people instinctively want to work, and I am also convinced that people who work are happier than people who have no jobs. However, I also see every day people who would be perfectly fit to work – in some cases with special skills – that actually prefer not working and instead opt out to receive some benefits from the government. 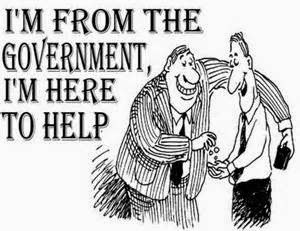 High unemployment and a declining labor force participation rate in the Western world has numerous causes including affluence, changing attitudes from “personal responsibility” to “entitlements,” and especially because of the government’s generosity. It is evident that with increasing Government transfer payments, a decline in salaries and wages as a percentage of the economy and a contraction in the civilian labor force participation rate occurred. I just read a report that a very high proportion of New York high-end properties are empty 70% of the time. So the foreigners that come here can loan their money because through the property market and through the arts market you can get a loan for anything you want – not through bank accounts where you have to as a client prove that you're honest – which is a joke because the banks should prove to you that they are honest, which would be very difficult, as we have seen from the many fines they've had to pay. But anyway, a lot of the properties are empty. So the people who live in London and New York who have been driven out by high prices now have to go and live somewhere else and have to travel a long way to work, pay the transportation costs and so forth. For the majority of people the standards of living are going down not up.